Like every season its always fun to switch up the makeup, even though the weather doesn’t seem to warm up quite as much as I would like it to, but I can always uplift my spirits by switching up to a more fresh pinkie coral makeup look. 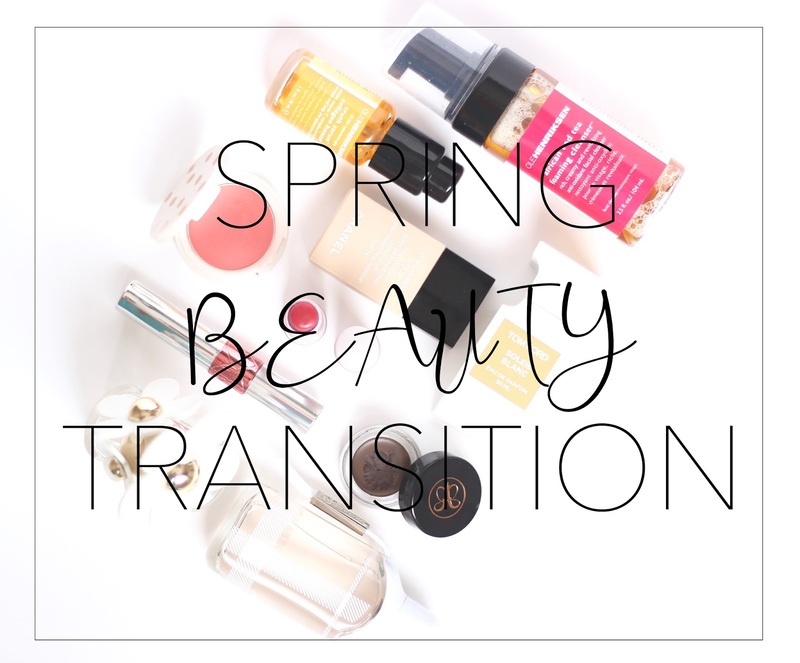 So here are few of my favorite “spring transition” picks. Chanel Vitalumiere Aqua Foundation : Well I’m definitely not a person who grabs a foundation every freaking day, but whenever there is a special occasion or maybe a gathering or I fancy getting dressing this has been my go-to. It’s light weight, has SPF and the dewy glow is to die for. Nars Creamy Radiant Concealer : Love the flawless finish and how creamy it is, makes it such a wonderful product blend in easily without making it look cakey. It’s a new favorite after my trust Naked concealer from UD. Top Shop Cream Blush In Head Over Heels : The perfect spring time blush, I love cream blushes especially during this time of the year they are extra stunning. And this pinkie corally shade will be all you will be digging for if you own this. YSL Tint-in-oil In No.6 : I love glossy lips and this is my all time favorite product. I won’t go much into this since I have a full review of this one here. But if you love the feel of full juicy lips this is what it is all about. Fresh Lip Balm In Rose : A lip balm with Spf is a must have apart from a sunscreen sunscreen. You don’t want your precious lips to burn! And this is so ridiculously moisturizing and the subtle tint is perfect for an effortless Spring look. Anastasia Dip Brow Pomade In Chocolate : I don’t know what is with spring/summer and cream products, as the season changes, almost all my product preference moves to creamy products. And this one is a great product, as I even end up using it as an eyeliner since its a nice brown shade which makes for a soft eye look. TomFord Skin Illuminator in Firelust* : A gorgeous liquid peachy coral highlighter for the sun kissed sheen on the face. Now I’m definitely not the kind of person who would mind using spring scents during winter season. Since I gravitate more towards fresh floral spring fragrance. TomFord Soleil Blanc* : A very seductive spring scent thats all I can describe it as, its floral with a mix of amber and maybe a hint of coconut. I’m the worst when it comes to describing a fragrance. Burberry The Beat* : Oh this reminds me so much of Versace bright crystal for some reason and I absolutely love love it. Marc Jacobs Daisy : Hands down my all time favorite perfume! Well there are more but this one definitely tops the list. Ole Henriksen Red African Face Wash : The smell itself is so uplifting and invigorating, and the way it leaves the skin feeling clean and fresh without striping down the excess oils. It’s a perfect morning pick me up. 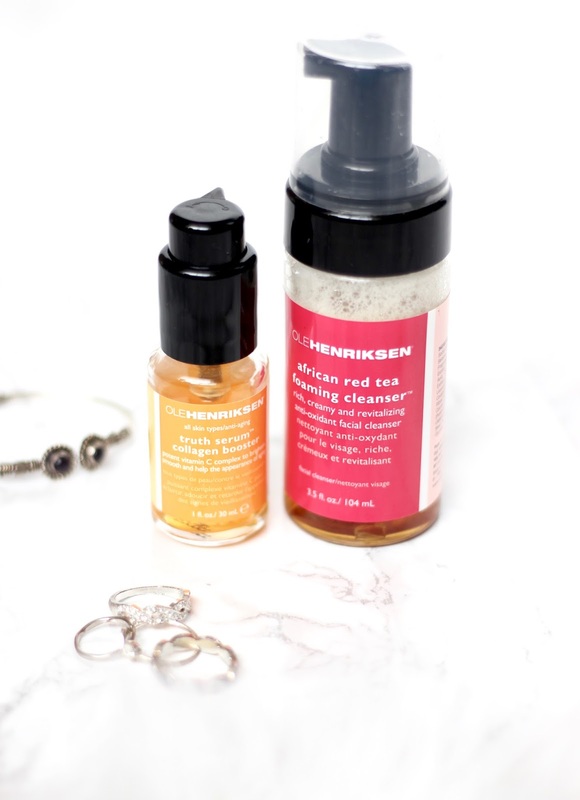 Ole Henriksen Collagen Booster Serum : This is one of my holy grail skincare items I can’t do without it. And after almost six months I’m finally reunited with my skins best friend. It’s a light weight, fast absorbing serum leaving the skin feeling hydrated and plump. I’m still using my christmas edition (Winter Candy Apple) body wash from Bath and body works and I absolutely love it. What are your Spring/summer transitional products? Do you tend to gravitate more towards cream products too?